First of all I forgot to say thank you for all the comments so far. It’s good to hear from you. And the Camino starts again. 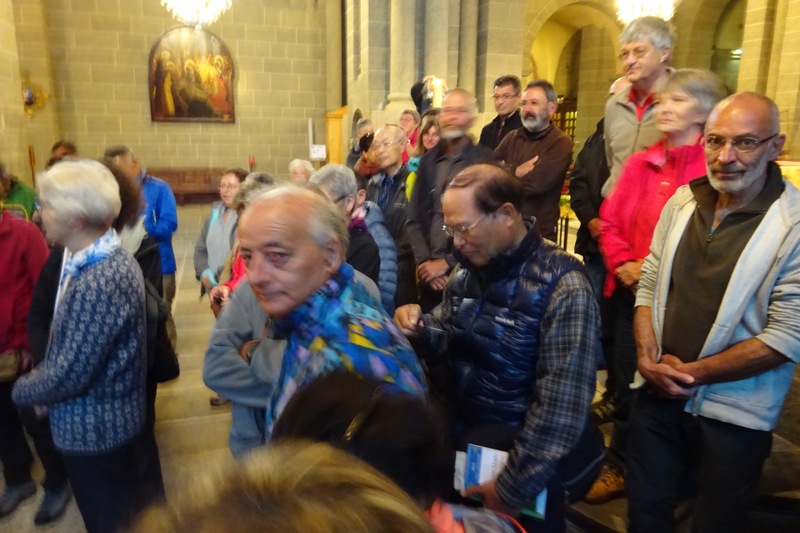 About 100 pilgrims gathered in the Cathedral for the 7am Pilgrims Mass. Some were a little late because getting to the Cathedral involves climbing hundreds of steps up the volcano. After Mass, the Priest led us to the statue of St Jacques (as St James is known in France) for the Pilgrims’ blessing. A show of hands revealed nearly everyone was French but there were also 6 Japanese, 2 French Canadians, 1 German and of course just me from the UK. No one from the USA. 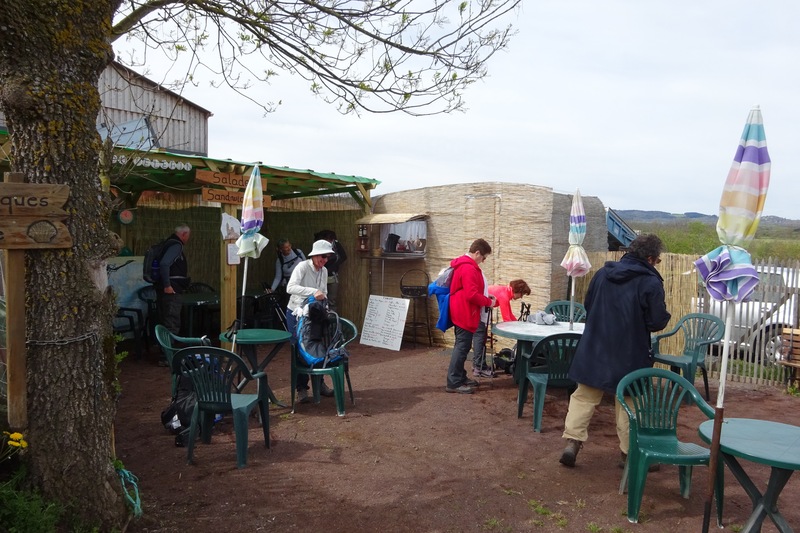 Most are heading along the Way of St Jacques to various points and a decent minority intending to reach Compostela. 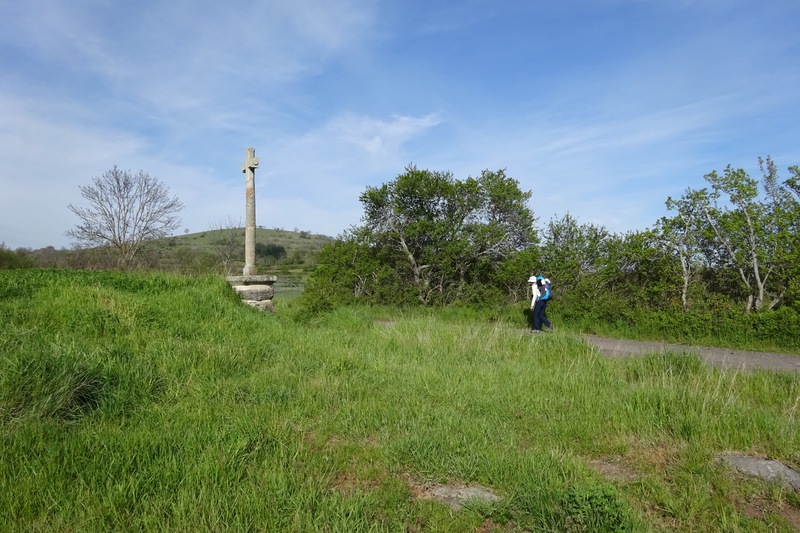 One man announced his destination as Rome and I made a note not to follow him out of the city. 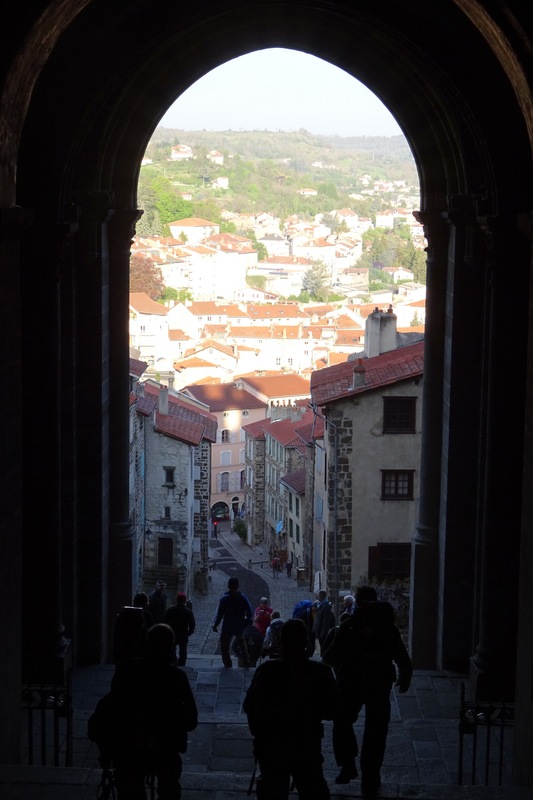 Finally and with a great flourish, he opened the Compostela doors to reveal hundreds of steps down through the floor of the Cathedral and heading south west, literally the first steps of the Camino. Off we went. 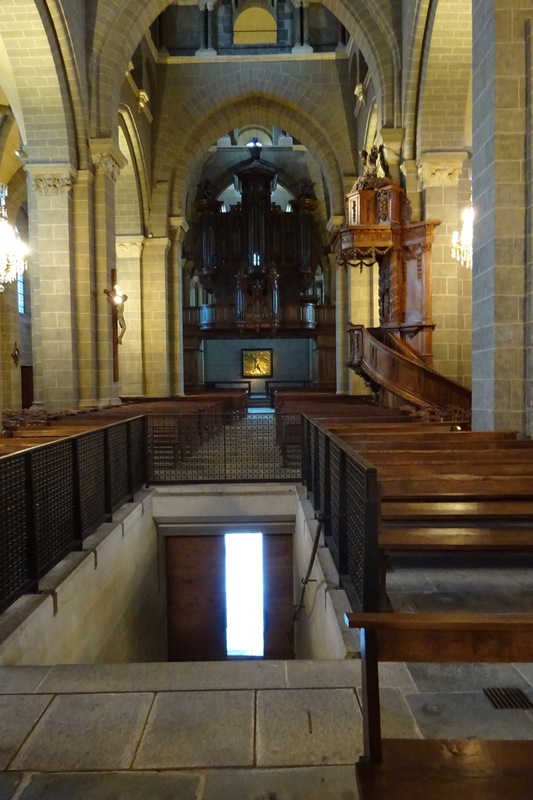 I met “I” from Paris in the Cathedral and discovered we had a little bit in common, namely we were staying at the same hostel in Le Puy and also in St Privat-d’Allier and we were both heading back for breakfast before setting off. So we munched a croissant back at the hostel while the happy pilgrims passed the window. 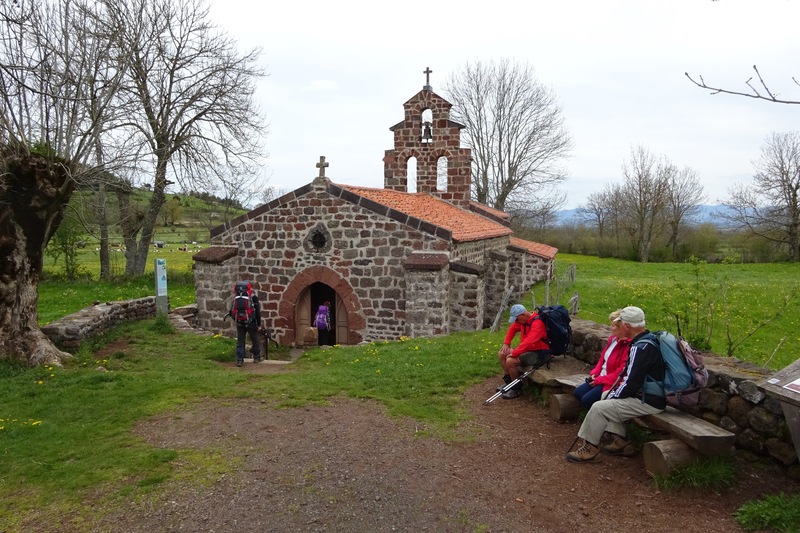 Today we walked 24 hard kilometres out of Le Puy, climbing and descending the volcanic hills where the famous lentils grow. 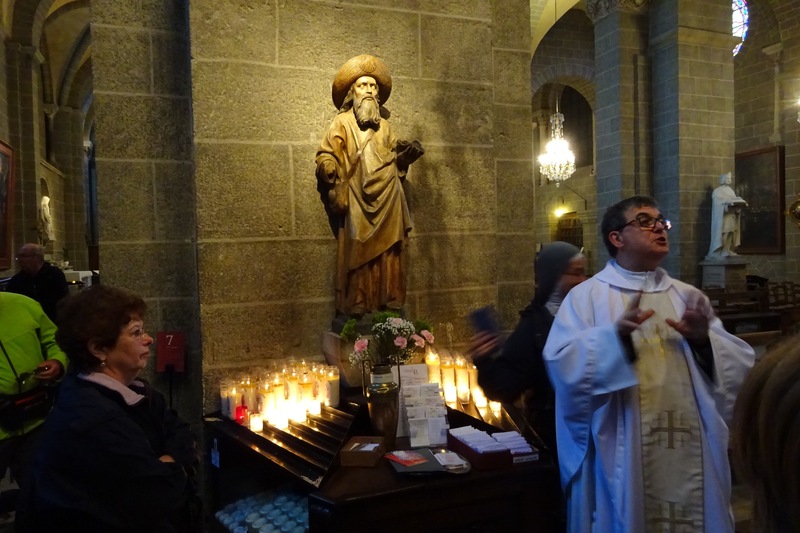 Priest blessing the pilgrims at the statue of St Jacques. Great account, helping me build up in great detail your journey. Really enjoying the update and photos, look forward for tomorrow’s. 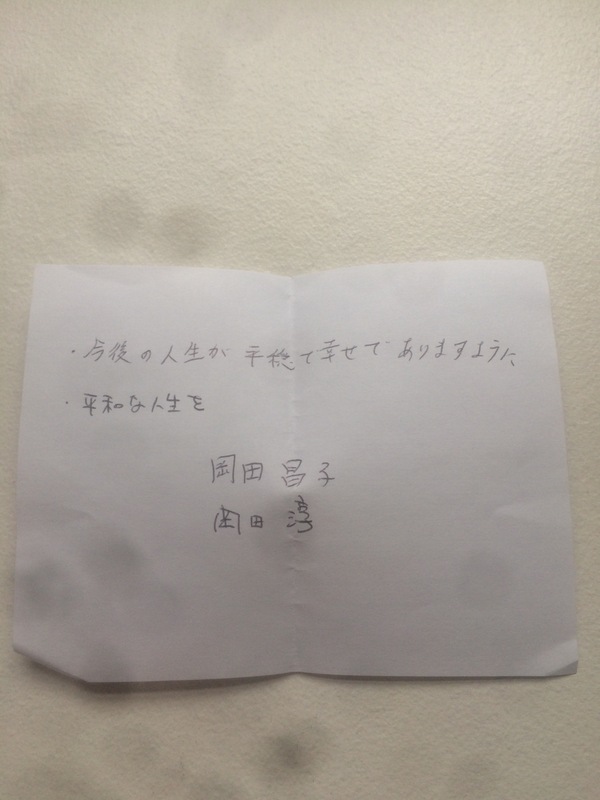 Hope you can get the prayer translated. So how are the blisters after the first day? 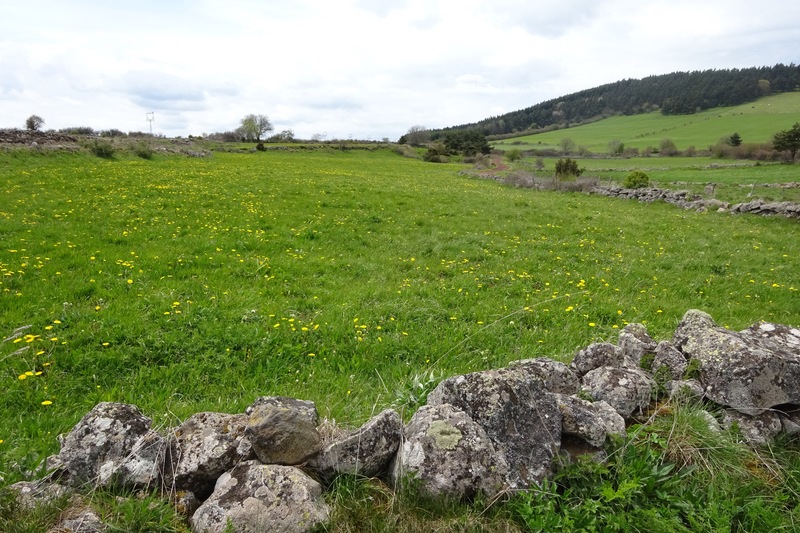 It was a tough day and will be a tough 10 days before I get to Conques and the Rivet Lot. I have a little baby one trying hard to pop out. I think the Japanese translation is 2 pints of Doombar and a packet of jalapeños pls? I’ll catch up with the rest of your writings over the next few days. Your zest for foot travel is inspiring and in moments, I wish I was waking with you! I’ll travel through your writings. Bon Chemin mon Ami! Hi Stevie G thank you and I’m also looking forward to hearing about your hiking in Japan.